6 images. 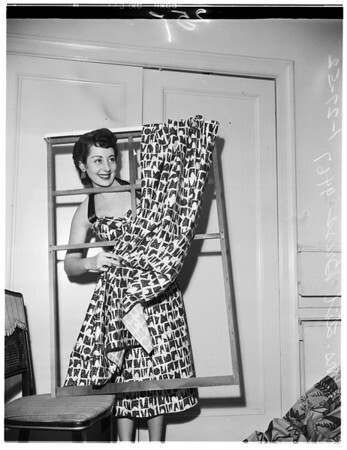 Drapery and lamp show at Biltmore Hotel, 27 January 1952. Mrs. Lil Bress, with wire lamp shaped like a fish and showing draperies and dress made of same material.